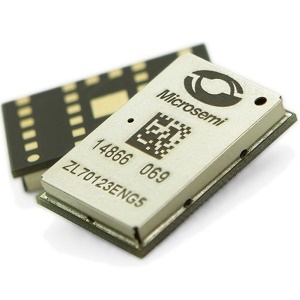 Microsemi has introduced a new RF base station module for implantable devices utilizing the Medical Implant Communication Service (MICS) RF band. The new module was developed specifically for external controllers and monitors of implantable medical devices. The ZL70123 base station module, when combined with the company's existing ZL70323 implant module, provides a complete solution for achieving the highest performance in next-generation medical networks (Med-Net). 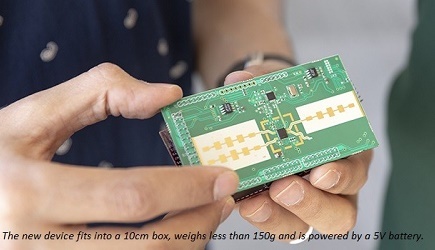 Both modules are based on the latest generation of Microsemi's ultralow power (ULP), MICS-band, radio transceiver chip, which has been deployed in more than three million implantable devices over the last 10 years. RF technology is increasingly being used in a wide variety of medical implantable applications, including cardiac care, physiological monitoring (e.g., insulin monitoring), pain management and obesity treatments. According to a recent report from P&S Research, the market for active implantable devices, which includes pacemakers, defibrillators and neurostimulators, is expected to grow at an eight percent compound annual growth rate (CAGR) over the next five years, reaching nearly $29 billion by 2023. Microsemi's new ZL70123 base station module is ideally suited for the unique needs of this growing market. Microsemi's Med-Net radio operates in the 402 MHz to 405 MHz MICS band. Multiple ULP wake-up options are supported, including a 2.45-GHz, industrial, scientific and medical (ISM) band, wake-up option. The existing Microsemi ZL70323 implant module implements all RF-related functions needed to deploy an implant node in a MICS-band RF telemetry system. It consumes less than six milliamps (mA) when transmitting or receiving data and consumes just 10 nanoamperes (nA) when in its sleep state. The integrated antenna tuning circuit allows the module to be used with a wide range of implant antennas (as nominal antenna impedance is 100+j150 ohms). The new Microsemi ZL70123 base station module includes all RF-related functions required to deploy external device functions in a MICS-band RF telemetry system. It is designed to meet regulatory requirements including Federal Communications Commission (FCC), European Telecommunications Standards Institute (ETSI) and International Electrotechnical Commission (IEC) standards. The ZL70123 base station module offers more flexibility, longer range capability and smaller size than its predecessor while maintaining backward compatibility with older systems. Combining the ZL70123 base station module with the ZL70323 implant module, Microsemi's Med-Net radio solution enables deeper implants with strong communication links while preserving battery power. Microsemi's new ZL70123 RF base station module is in production and available now. The company also offers an application development kit (ADK) to qualified customers (part number ZLE70103BADA). Click here to learn more.